Teen hangouts with "mocktail" bars, hip gaming stations and DJ training? Padded play spaces for crawlers? Mickey Mouse, Dr. Seuss and Star Wars? 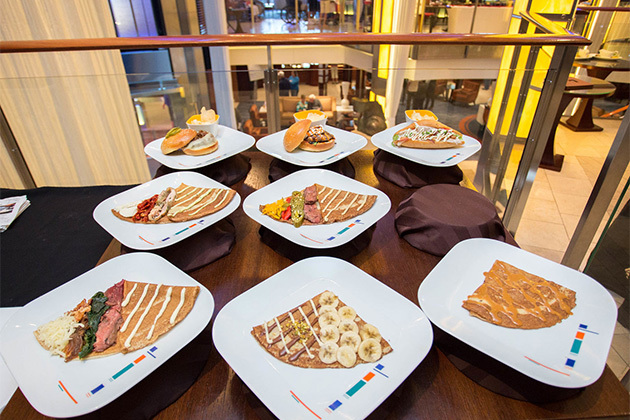 If your family is saying "yes, please" to all of the above, then you'll want to check out the five best kids clubs on cruises. Our favorite lines are working hard to keep your kids entertained onboard, and these incredible play spaces for children, ages 6 months to 17 years, are bound to wow you. 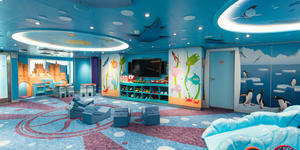 Why We Love It: While all Royal Caribbean kids clubs are incredible, Oasis-class ships top them all with roughly 28,700 square feet per ship dedicated to children's facilities. 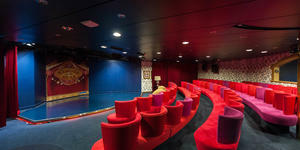 Adventure Ocean's top-deck hub includes play spaces for the different age groups, a nursery for babies and toddlers, hangouts for teens and tweens, a video arcade, a science lab and a theater. A partnership with Dreamworks keep the little ones happy, while DJ classes and plenty of video games appeal to the hard-to-please teen set. Why We Love It: A two-deck kids club and an industrial-chic teen center make the youth facilities on Breakaway and Getaway among the best in the fleet. The Splash Academy play areas are colorful and versatile, and they host everything from arts and crafts to fashion shows and pirate nights. 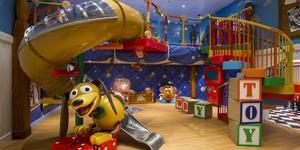 A soft play area for babies and toddlers provides parents with a safe place to get on the floor with the little ones. 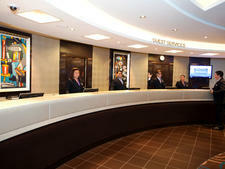 Teens can do their thing at Entourage, with its video jukebox, dance floor, foosball, gaming station and DJ emulator. Why We Love It: All of Disney's kids clubs are slightly different, but each offers imaginative play spaces and hangouts for kids of all ages. Each has a nursery with drop-off babysitting for those younger than 3. 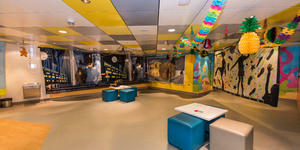 The combined Oceaneer Clubs and Labs are divided into themed areas, such as Andy's Room (for little ones to play on a Toy Story-themed playset), an Animator's Studio, Marvel's Avengers Academy on Disney Magic and a Millennium Falcon gaming area on Disney Dream. 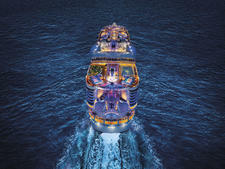 Teens and tweens have separate clubs on all four ships. They're the best on Dream and Fantasy, where tweens hang out in the fake second funnel and teens get a huge hangout with its own outdoor area. 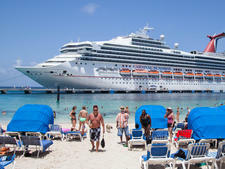 Why We Love It: Carnival cruises attract lots of families with a focus on fun and affordability. Camp Ocean, the ships' kids club, is routinely packed, and youth activities have a marine theme that mixes education and play. 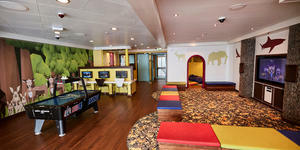 Families appreciate separate spaces for kids, tweens and teens; Dr. Seuss-themed events and spaces (such as the Dr. Seuss Bookville on Carnival Freedom, Horizon and Vista); and plenty of games, crafts (including Build-A-Bear workshops), parties and scavenger hunts to keep everyone entertained. Why We Love It: Princess has leveraged its partnership with Discovery Communications to rebrand the former Youth Center as Camp Discovery. 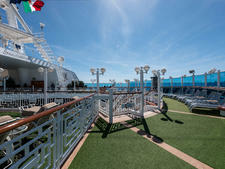 Revamped facilities on several ships feature The Treehouse (formerly Pelicans) for ages 3 to 7, The Lodge (formerly Shockwaves) for ages 8 to 12 and The Beach House (formerly Remix) for ages 13 to 17. While only certain ships boast completely renovated spaces, the programming has rolled out across all ships in the line's fleet, offering activities like Skee-Ball, air hockey, video games, and dance parties, as well as more educational pursuits like science experiments, scavenger hunts, story time, and puppet- and mask-making inspired by wildlife in the ports the ships visit.